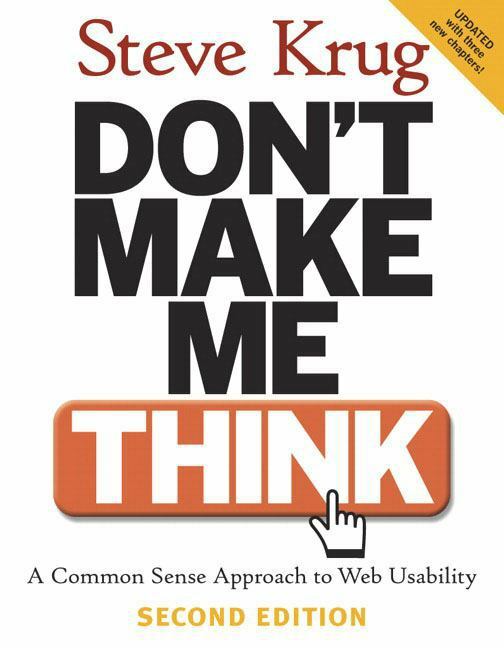 I love to tell overzealous clients that they need to read a book titled “Don’t Make Me Think”. All they’ve done is try to figure out how to get their visitors to stop and think. Steve Krug’s book is wonderfully counterintuitive. This book will give you the foundation you need to start thinking in terms of the real reason you are building a web site.It isn’t to show off your talents.It isn’t to make your client applaud. It isn’t even to dazzle your clients’ customers. The real reason for that Web site is to get your clients’ customers to buy something or sign up for something or to do some productive action. If you can layout the Web site for your client that accomplishes that goal, your client will ultimately be much happier than if you use that platform to show off your latest talents. Whether your client knows it or not, they want a Web site that doesn’t make their customer stop and marvel over the cute buttons or the spectacular Flash image, or the perfect font. If their customer stops to look at anything on their way to buy or sign up, they may start thinking. They may think of how nice that image looks. They may then think of how that image reminds them of something else. Then if your client is real lucky, they will get back on the path you want them to take and stop thinking. Unfortunately it is more likely that they will continue thinking and get off the track you want them on. Then they may decide to shop around. Or go make a cup of coffee and think some more. So don’t make them think! Lead them through to achieve your client’s task whether by buying or leaving contact info. This is a book that I recommend you get and read and then refer back to from time to time. It is easy reading and should give you some powerful ideas to help improve your business. And when you get a client who wants the most dazzling eye-candy that their budget can provide, you may want to loan them your copy and remind them what their Web site is ultimately there to accomplish.